Forty visually-impaired students have received individual electronic devices after a €100,000 donation by the President’s Trust to help them keep up with the national curriculum and their peers. 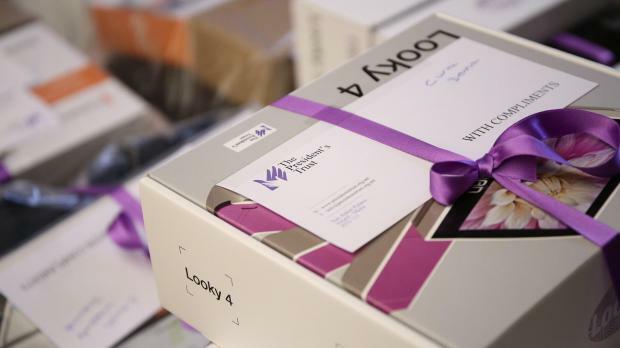 Electric video magnifiers, calculators with a big display, Braille equipment and tablets were among the apparatus distributed by President Marie-Louise Coleiro Preca during a ceremony at San Anton Palace, Attard. “This is a day of celebration, which grew from a number of collaborations that came together during the National Readathon organised to encourage primary schoolchildren to read,” Ms Coleiro Preca said. The President’s Trust said that after 1,000 students had raised €8,000 to purchase tailor-made devices for visually-impaired students, it had collaborated with the National Literary Agency, the Education Department, NGOs and private companies to raise the figure to €100,000. “We embarked on an exercise with teachers and the Foundation for Information Technology Accessibility to establish the individual needs of each visually-impaired student and to determine what technological devices would help them access the national curriculum,” director Sarah Bondin said. The devices, which can be used both at home and at school, will enable students to read books and handouts, access diagrams and maps as well as stimulate and strengthen a youngster’s vision where necessary. “We appreciate that no equipment will resolve all the hurdles these students encounter but it will help facilitate their lives. Today, 40 students were provided with their assisted devices and more will benefit in the coming months,” Ms Bondin said. Set up in 2015, the President’s Trust brings together businessmen, academics and professionals to create collaborations that make a tangible impact for youngsters facing difficult situations.